New businesses and housing have brought new life to Downtown Binghamton, and the waterfront trail and parks have enhanced the quality of life of residents, as well as its regional image. Updating the Comprehensive Plan was a great opportunity to build on the positive initiatives already in full swing in Binghamton, while proactively tackling the challenges. As a component of the comprehensive plan update, Common Ground served as lead urban designer during a six-day public design process to prepare a form-based code for the Main Street/Court Street corridor in Downtown Binghamton as part of the Blueprint Binghamton Comprehensive Plan effort. 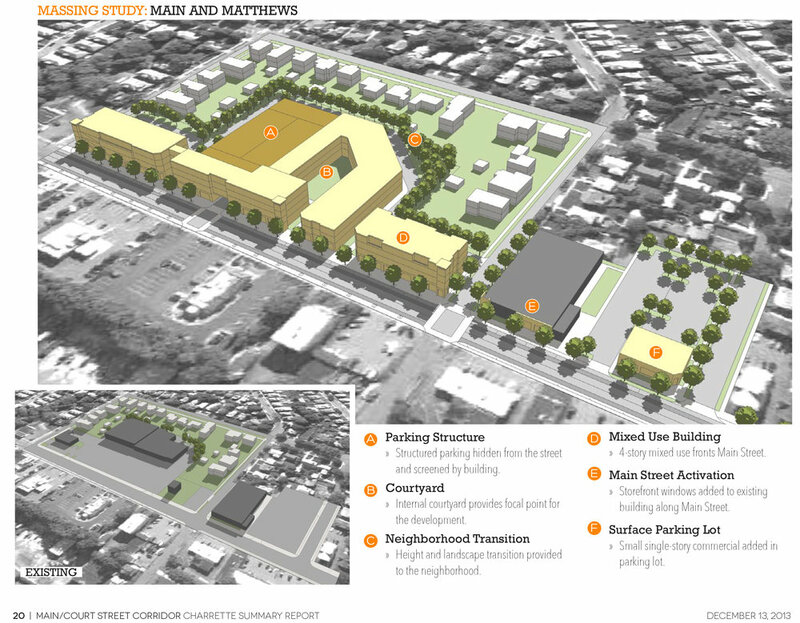 We developed and illustrated a framework for the code that would transform a corridor once zoned with the same district for its entire length into a series of distinct character areas.